Ruckus is proud to announce that it has been named to the 2018 Clutch 1000, a list of the top 1000 B2B companies in the world. The list is assembled via a holistic evaluation of companies’ client reviews, portfolios, and brand reputations. Ruckus placed in the top quartile of lauded firms. This recognition is a fitting cap to an extremely successful year for Ruckus. The firm continued its strong growth trend, making the Inc. 5000 List of the fastest-growing private companies nationwide for the third time in four years. 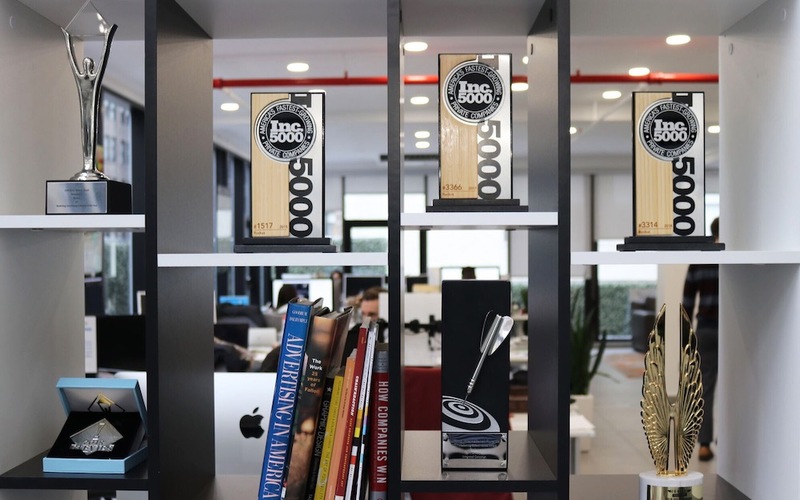 Ruckus also won handfuls of marketing awards, was named a Marketing Company of the Year by The American Business Association, and was ranked a top integrated marketing agency by DesignRush. Having upgraded during the year to a new office space capable of accommodating a doubling in company size, Ruckus is excited to face new challenges and continue its growth in the new year.